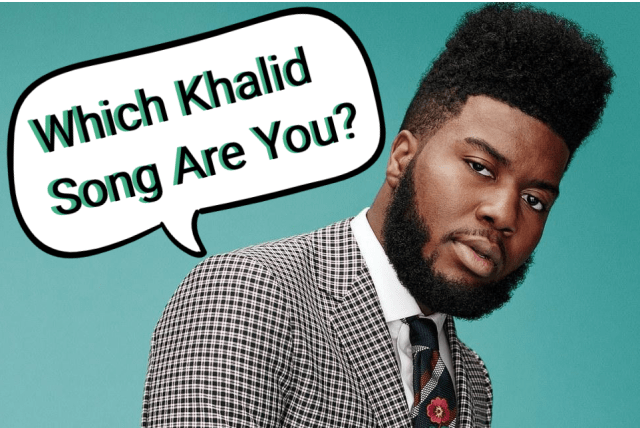 Which Khalid Song Are You? How would you want others to describe you when you're not around? Which movie title best describes your life? What's your thought on school and/or work? If the you met the President - what would he think about you? If you were to start a collection - what would you collect? If you could spend a day with Khalid - where would you hang out? You're unpredictable. You have many ups and downs. You admire change and excitement. You're caring and elegant. You are someone who others always admire. You're crazy and energetic. You don't think much about the consequences before you take action.